I get lots of email introductions — these are the best ones that work, 4 rules for how to introduce yourself in an email, and the exact script you should use. Here’s a universal truth: Smart people WANT to meet with other smart people. Sometimes, it’s hard to actually get on the other person’s radar, though. Short of showing up at their home unannounced and knocking on their door — which might land you with a nice restraining order — you have to find a more nuanced way to introduce yourself. Ask worthless questions. 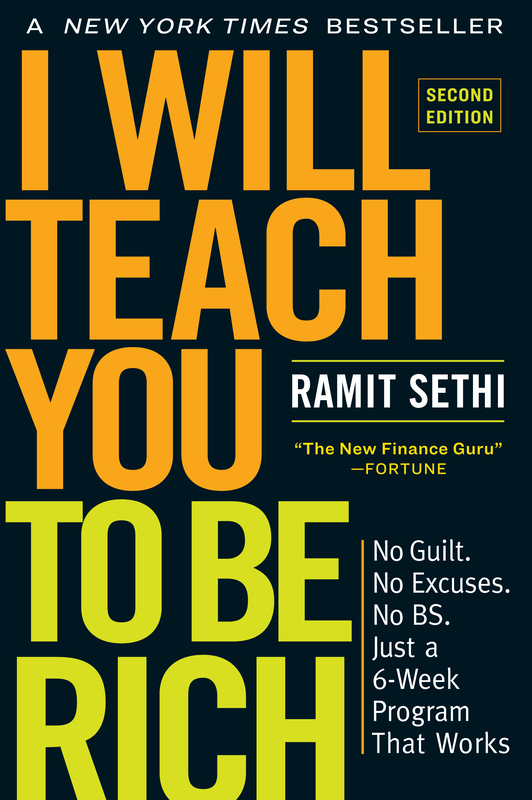 Example: “Dear Ramit, what should I do with my money?” Uh….read the last 12 years of my site or my New York Times best-selling book? So let’s talk about what makes a great email introduction — the kind that makes someone want to meet you as soon as they can. The best email intros make me want to meet the sender or help them start businesses, find jobs, or even hire them myself — and they almost always contain the following 4 traits. The traits are simple — but 99% of people skip them. Don’t do this. Trait #1: Reached out through a warm contact. You’re going to see a MUCH higher response rate if you spend some time finding a mutual contact between you and the person you’re emailing. Even if you don’t think you have one, I HIGHLY suggest you search anyways. The results might surprise you. Over the years, people have found mutual contacts with me through ALL of these resources. Trait #2: Explained any similarities we had. When you’re sending an email, you’re going to want to bring up something you have in common with the recipient. If another Stanford alum reached out to me and seemed genuine, I’ll almost always take a phone call, or if convenient, a coffee meeting. Trait #3: Reached out with a BRIEF, CONCISE EMAIL. Check out this email I got a while back. It’s an absolute masterclass in bad email introductions. Notice that in the second paragraph, he actually acknowledges that he should focus on ME (the busy person)…and proceeds to do the exact opposite! On top of that, the email was an absolute MONSTER. It only got my attention because of how bad it was. I’m going to touch on this more later — but for now, know that the person you’re emailing is probably very busy. As such, you’re going to want to make sure that your email isn’t wasting their time with any superfluous information. Do that, and you’ll INSTANTLY eliminate yourself from their inbox. Trait #4: Never outright ask for a job. This is something you should NEVER do in an email introduction. Even if you’re just asking for help, it’s best if you provide the recipient an out so they don’t feel like you’re demanding something from them. See why that works? This gives your email recipient an easy out if they’re too busy. Counterintuitively, it also boosts your response rate since you’re showing empathy toward their time demands. NOTE: The people who have reached out to me weren’t always the most socially smooth people. But the very best showed a remarkable level of preparation, which anyone can accomplish — but few actually do. As a result, many of these people stood out among tens of thousands of others who left comments/emails/tweets. Not only do the very best top performers have an uncanny ability to reach extremely busy people, but they can turn a one-time meeting into a long-term relationship. And over time, that is worth more than almost any technical skill or amount of experience. Step 1: Brainstorm a list of 10 people you’d like to connect with. Start with these people: People who have a job title you’re interested in learning more about. People who work at companies you’re interested in potentially working at. And people who are doing interesting things you want to learn more about (e.g., you read about them in a magazine/blog post). Step 2: Get their email address. If you can’t find this you fail at life. But you read this site so I suspect you’re cool. Step 3: Use the introduction email script below. Here’s a template you can use to meet just about anyone along with analysis on why it works. Delete the bold text before you send it – unless you want to make a super-awkward first impression! One of the best things about this email is its brevity. There’s zero fat in the message and it just tells the recipient what she needs to know. You now have both the tactics (the email script) as well as a strategic approach (what the busy person is looking for and how you can adjust accordingly) for great email introductions. For even more, I have more email scripts you can “plug and play” today for free.